This recipe takes the traditional shrimp cocktail and mixes it up with avocado and ketchup! A good ol' shrimp cocktail is a great appetizer, quick and easy to make. Of course, growing up, shrimp cocktail meant cold shrimp getting soggy and rubbery as it rested on a bed of ice, and a store-bought jar of cocktail sauce that had to be beaten to be opened. One pass through the mercado in Mérida, Mexico certainly let me know what I was missing. There were huge apothecary jars of cóctel de camarones perched on high, tempting visitors to crowd into the seafood area and beg for more. 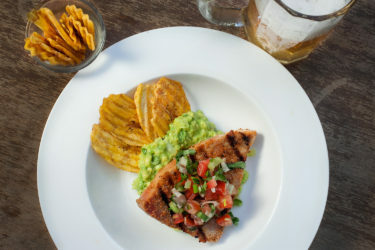 This recipe incorporates avocado and that most American of condiments, ketchup! 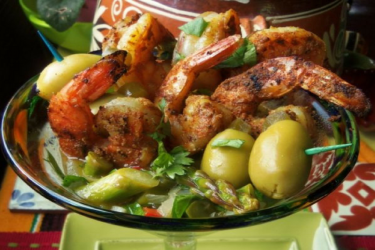 The sweetness rounds out the sourness of the lime juice and tempers the heat of the chile. 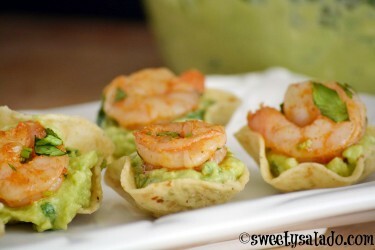 Make extra and serve a few shrimp each on large, warmed tortilla chips to stretch the appetizer. Mix ketchup, onion, cilantro, lime juice, Worcestershire sauce and minced chile in a glass or non-reactive bowl. Add shrimp and stir gently. Cut avocados in half. To do so, place the end of a large, sharp knife in the side of the avocado. Roll the avocado up the length of the knife to make an even cut. Remove the pit and discard. Depending on the size of the pit, you may choose to remove a small amount of the avocado with a spoon. Chop that remainder and add to extra shrimp that is served with chips (optional). 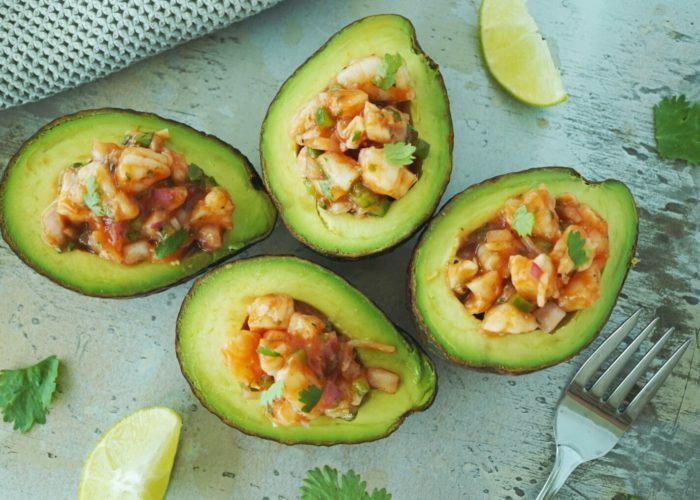 Using a slotted spoon, fill the center of the avocado with the shrimp mixture and enjoy!